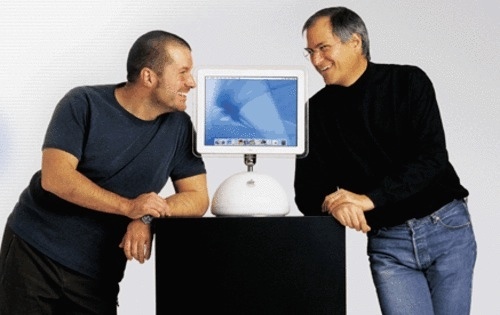 I’ve had this on standby for a while: the death of Steve Jobs seems to make now a good moment to post it. Feel free to imagine this is about choreography rather than design. And I know I can trust you to replace phrases like “use the iPad” with phrases like “watch the performance”, and so on. What Ive and his team understand is that if you have an object in your pocket or hand for hours every day, then your relationship with it is profound, human and emotional. Apple’s success has been founded on consumer products that address this side of us: their products make users smile as they reach forward to manipulate, touch, fondle, slide, tweak, pinch, prod and stroke. “It’s not for us to predict what others will do,” Ive says. “We have to concentrate on what we think is right and offer it up.” Ive’s focus and perfectionism are legendary. Any conversation with him is about hours of work, about refusing to be satisfied until the tiniest things are absolutely right. He’s most pleased with what consumers will never notice. He wants them to use the iPad without considering the thousands of decisions and innovations that have gone into what seems a natural and unmediated interaction.